Today's NPR article by Ashley Milne-Tyte examines some of the recent protests involving children's fashion. There was the "I'm Too Pretty to Do Homework" shirt from JCPenney. After an online petition, the item was pulled from the shelves. Then there was the Forever 21 "Allergic to Algebra" shirt, which was pulled after similar protests just a few weeks later. Mine-Tyte also mentions a petition against Gymboree's onesies that allow babies to be branded as "Smart Like Daddy" or "Pretty like Mommy." In addition to the campaigns mentioned in the NPR article, there have been some other successful consumer-intiatied marketing shifts because of protests like these. Edmund Scientifics has changed the labeling on their novelty kits so that they are no longer divided by "Boy" and "Girl" after receiving many consumer complaints. 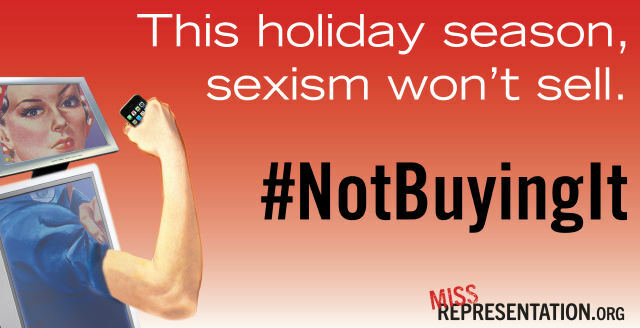 To harness this kind of success and concentrate efforts, MissRepresentation.org is promoting a Twitter hashtag of #notbuyingit to call out companies with sexist marketing practices. I'm really excited to see this kind of organized activism around this topic. I think that there has always been a large segment of consumers who have these concerns, and I think there is an even larger segment of consumers that would agree with these concerns if they were pointed out to them. Before the rise of social media, however, there was very little opportunity to do much more than speak about it to the few people who shared both your geographic locale and your feminist lens. Now, the sense of community is much broader and the boundaries of geography have started to break down. Every time that I see a complaint about a sexist product, I feel more confident in my own critiques. It's comforting to know that you are not alone in seeing the problem because sometimes social pressures can make you feel like you're overreacting, even when it is an important personal cause. Robin Sackin, a professor at New York's Fashion Institute of Technology, says people need to lighten up. Children are influenced by their parents, she says — not by slogans on T-shirts. "So if my child says to me, 'Mommy, I want to get that,' " Sackin says, "I'd say, 'OK, you can have it, but I don't care if you're pretty — you're doing your homework.' "
While I think it's great to share with your kids messages counter to the sexist ones surrounding them, I don't think it's enough to combat the effects. I am not my daughter's sole source of guidance in the world nor should I be. And, no, I don't think that these t-shirts are going to single-handedly keep any young girl from growing up to be an engineer or doctor or whatever, but that's the thing. They don't have to do it single-handedly because there are a plethora of t-shirts, books, movies, games, songs, and shows that send the same message. That message then gets picked up by their peers who echo it in ways blatant and subtle. At the same time, I don't think it's enough to just point out when companies get it wrong. That's why I was excited to be part of a Tweetchat where we discussed the need for buy-cotts as well as boycotts. It's not enough to take our money away from companies that don't deserve it. We also need to invest our dollars in companies that work against these stereotypes. 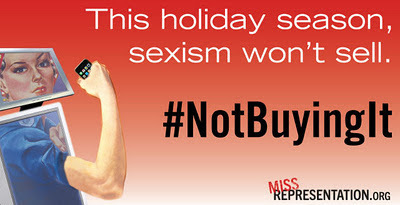 If we're going to see a shift away from sexist marketing and products, we have to promote alternatives. So, if you're looking for some alternatives to the sexist slogans featured on the t-shirts above, why not take a look at Pigtail Pals and Princess Free Zone. The fact that companies are pulling items from the shelves demonstrates our collective power. If we "vote with our wallets" and purchase products that promote our ideals, we can start to see some real change. And since we're now solidly in the holiday shopping frenzy, what are you not buying? And what do you think we should buy instead? Back in the early 90's (I believe), Talking Barbie came out and one of the phrases she inanely uttered was "Math is hard". My sister - a PhD in Number Theory - and I (at the time, a math major undergrad) were absolutely appalled. It's disgusting to me that we are still, 20 years later, still having to speak out against this very same gender bias today.